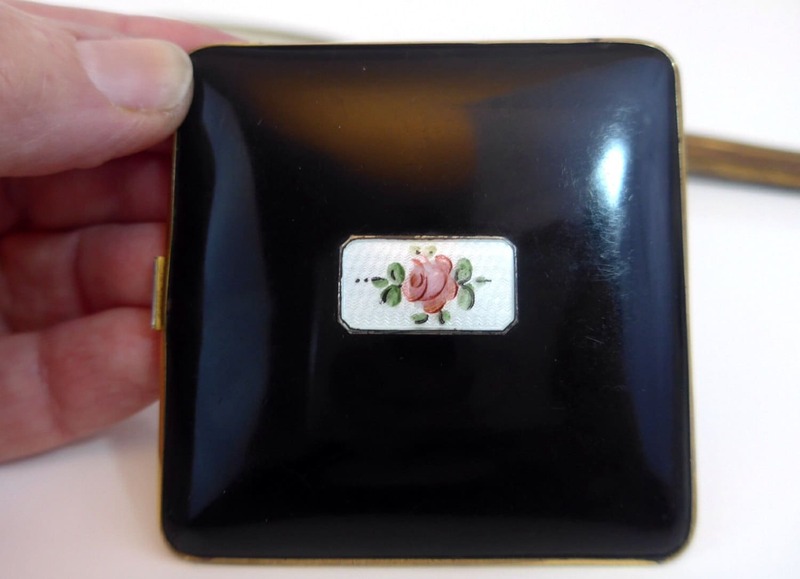 Classy black enamel and 24k gold electroplate compact with a pink rose guilloche on the cover. 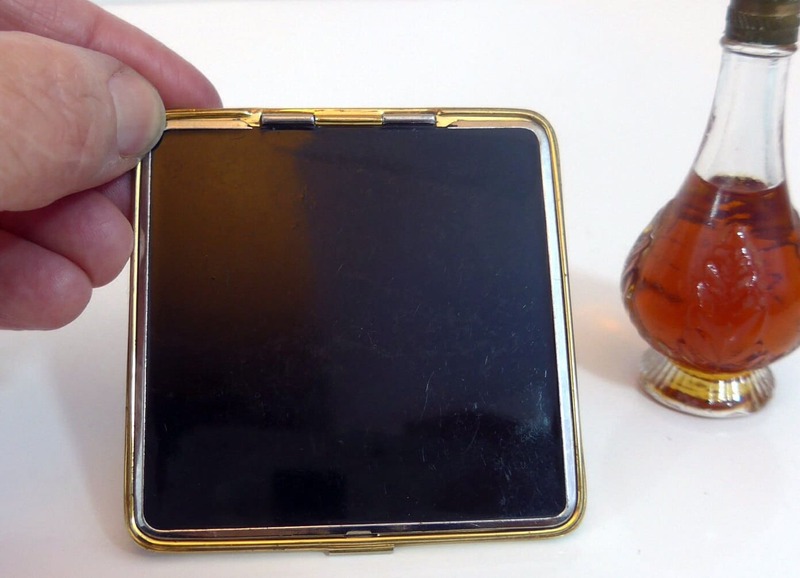 This vintage compact still looks great due to the fact that it was made of 24K gold electroplate as indicated by the original sticker that is still inside that says "24 K. GOLD ELECTRO PLATED." Very slim and sleek as it is only about 1/4" thick. Mirror in nice shape and still reflective. 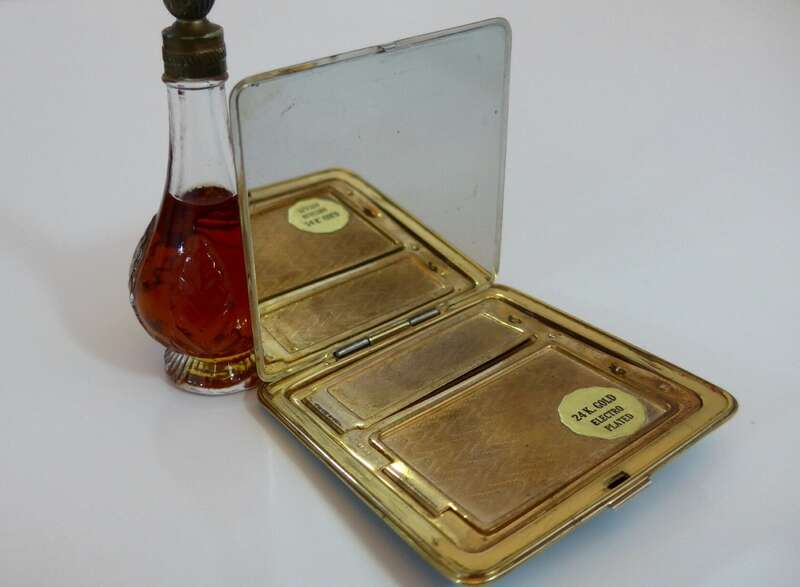 Two compartments: one for lipstick and one for powder. Some lipstick is still in the compartment. It is a pink color. Powder compartment is empty and there is no puff. Inside there is a hallmark that says B. B. CO on the side of this compact, the mark of the Bliss Brothers Company. 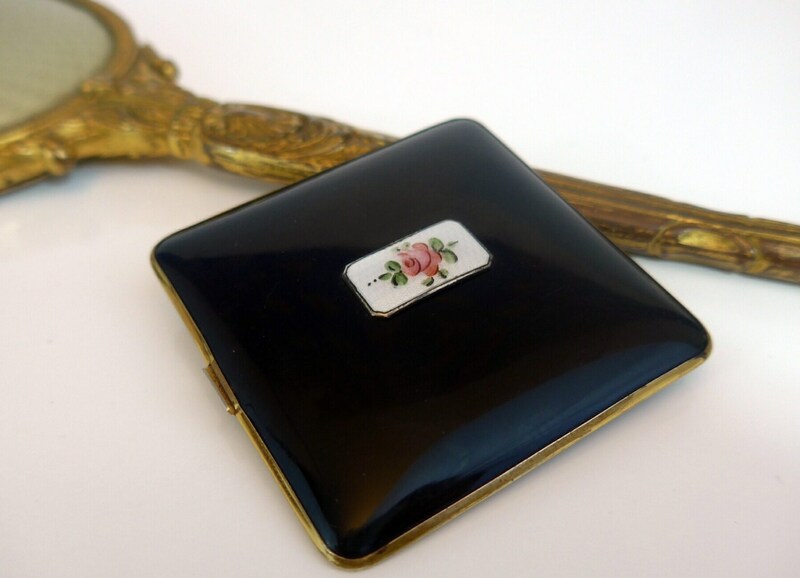 Compact is probably circa 1930 to 1940 era. Very good vintage condition. Original sticker still intact inside. Slight wear on case but all enamel is still intact on the front and on the back. Hinge works well. 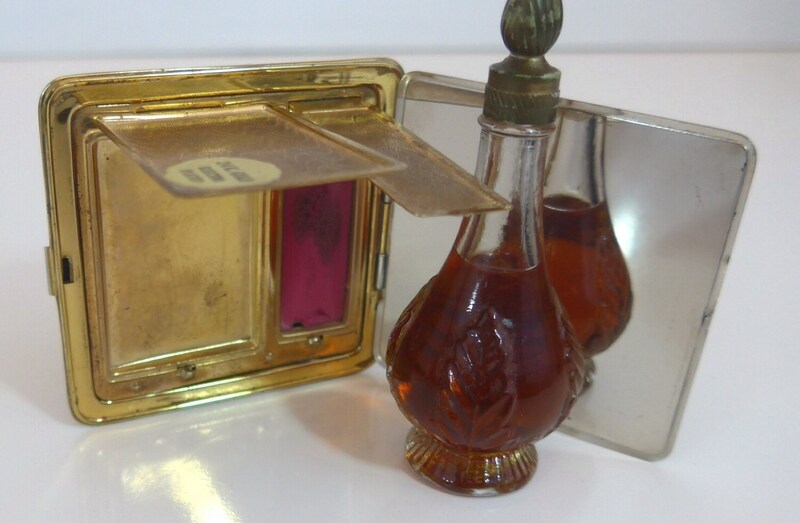 Compartment hinges for lipstick and powder also still working.